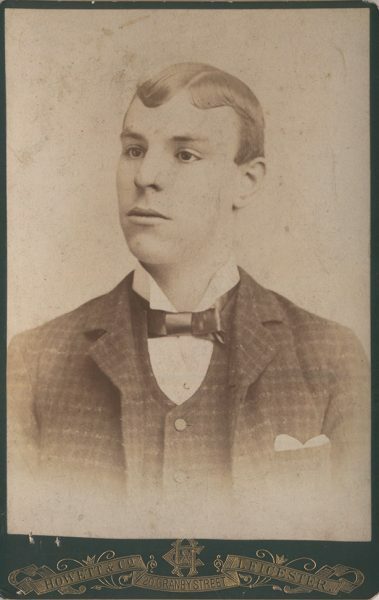 Will Catlin was born as William Henry Fox in 1871. 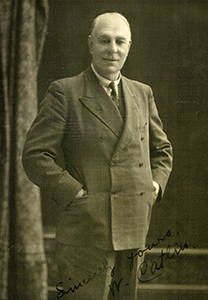 He was one of 13 children and lived in Leicester. He started work as apprentice to a tailor’s cutter (which perhaps explains his demanding attitudes towards stage costume in later life). 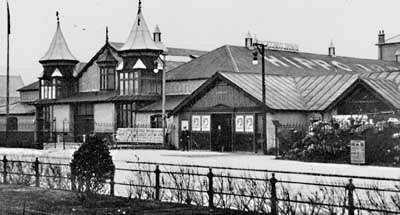 In 1890, aged 20, he married Ada Elizabeth Freer in Leicester, with whom he had 5 daughters and 1 son. 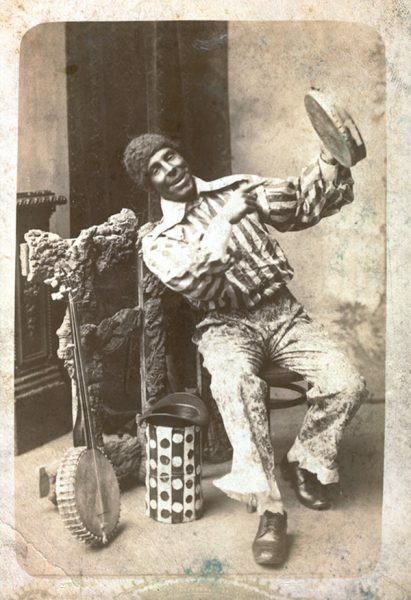 Will was a regular semi-professional performer in music hall and as a black-face minstrel, but in 1894, Will decided to change his stage name to ‘Catlin’ to make a more catchy, alliterative title for his new double act with Charlie Carson – ‘Catlin & Carson’ in Scarborough. 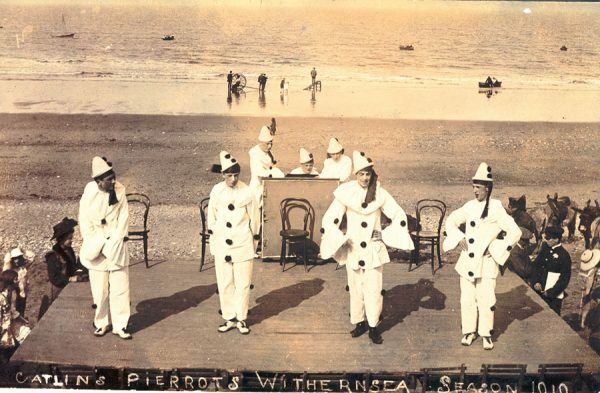 He enjoyed performing there and established his first troupe of pierrots called ‘Catlin’s Favourite Pierrots’ on the sands for the Summer season of 1894 at the age of 23. There were other rival troupes performing in the resort at the time, such as Tom Carrick’s ‘Popular Pierrots’, but Catlin’s proved immensely popular and while still on the sands, could perform to 2000 people seated and as many again watching! 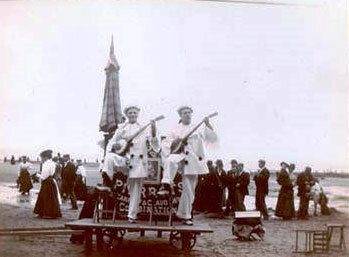 To beat-off the competition, in 1906, he bought the sole rights to perform on the sands, but the Council continued raising the pitch rents until in 1908, he refused to pay any more and moved his whole pierrot operation indoors to a specially-built, wooden, al fresco building on the seafront called ‘The Arcadia’ (later rebuilt as ‘The Futurist Theatre’). Subsequently, he opened another ‘Arcadia’ just below the railway line in Colwyn Bay in 1909 and Llandudno’s ‘Arcadia’ (from a derelict skating rink) in 1915. In addition to summer seasonal work, Catlin also offered his artists the unusual security year-round employment – touring inland towns during the winter months, which meant that a contract with Catlin (although demanding) was much sought-after and resulted in a loyal workforce. 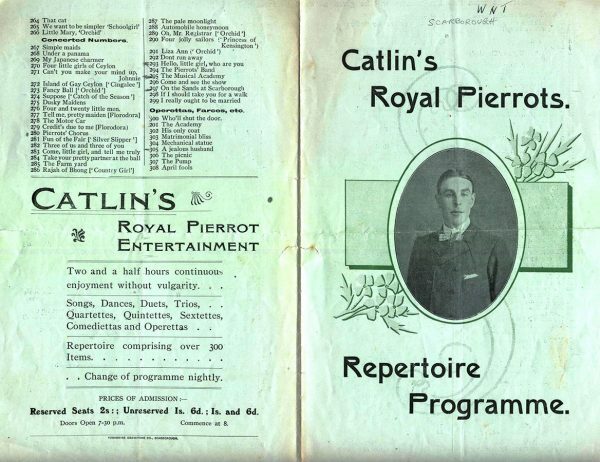 Catlin was a brilliant showman and salesman, known to all as ‘The Guvnor’: the image of all his troupes was always – every costume had to be washed and pressed before performance. 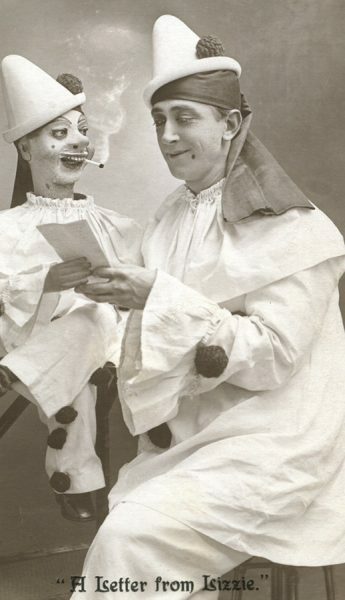 His oldest daughter recalls how she and her 3 sisters would help their father, as he sat, cross-legged on the dining room table at their home (24 Weaponess Valley, Scarborough), cutting and sewing the pierrot costumes himself, whilst the girls sewed the pom-poms and ruffles. His pierrots had to walk in full make-up and costume from their digs to the sands each day as an example of smart appearance and good behaviour. Every Monday, his fully-costumed troupe would ride around the town in a charabanc or tram to greet the new arrivals and advertise their shows. Before 1914, Catlin’s troupes were all-male and forbidden from being seen in public with a girlfriend or wife. Three performances were given daily, five on Bank Holidays; they rehearsed most mornings of the week and then performed at 11, 3 & 7 and an extra 2 shows a day on Bank Holidays! Every member of the troupe had to take their turn in collecting the money or “bottling” during a show and would also be required to sell merchandise such as songsheets, programmes and postcards afterwards. 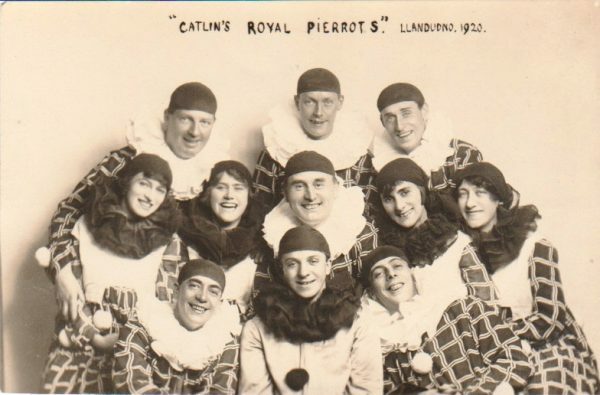 Catlin’s hard-sell approach was very effective and in the ensuing decade, toured his pierrrot troupes to resorts all over the country such as Withernsea, Whitley Bay, Great Yarmouth, Clacton, Bournemouth and many others. 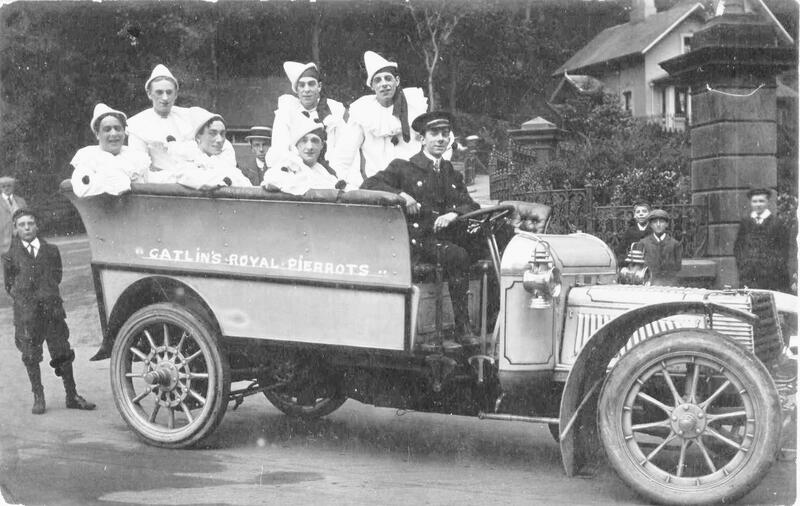 But the First World War had a profound impact on the Catlin empire – excursion trains were discontinued and barbed wire barricades prevented families from enjoying the beaches. 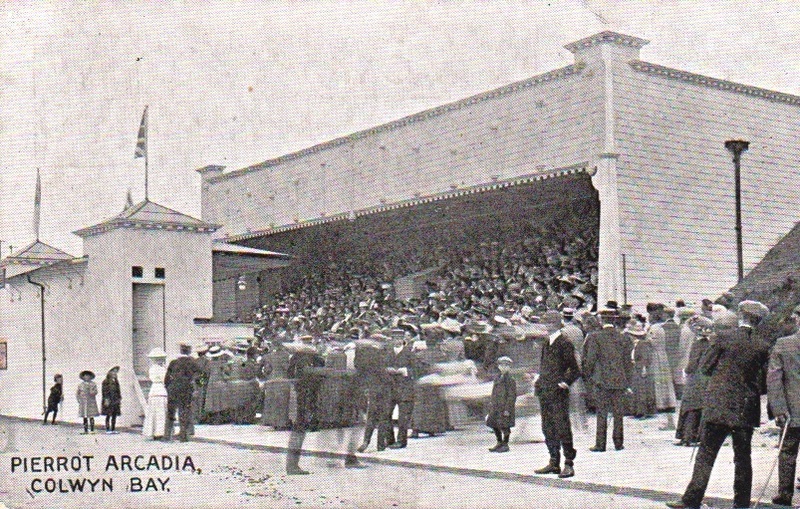 One Saturday in June 1915, troops who were billeted locally, interrupted the show in Colwyn Bay, shouting “Why don’t you join the army?” and threw clods of soil & timber. 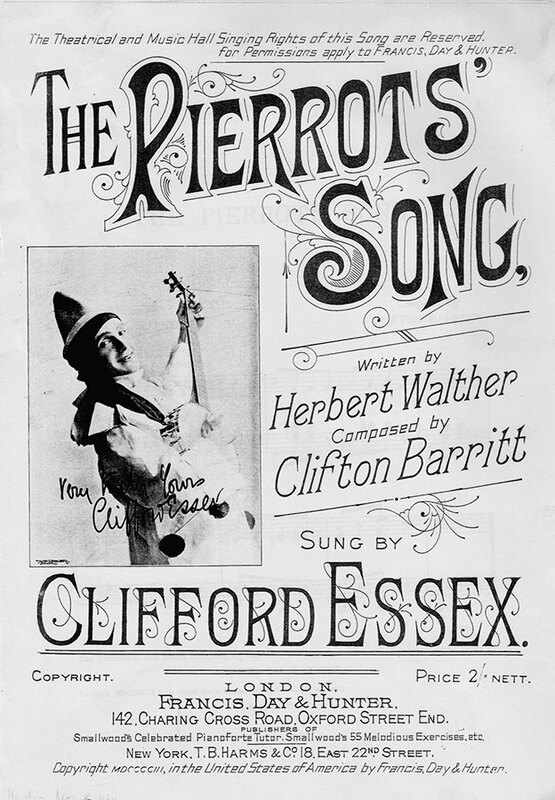 Just a few days later, 4000 troops and 3000 civilians gathered and angrily demanded that all the pierrot entertainers enlist immediately: after some negotiation, it was established that there was only one person eligible from Catlin’s troupe and that individual was forced to enlist – the rest being either too old or unfit! Subsequently, Catlin ceased his pierrot productions until after the Armistice in 1918. 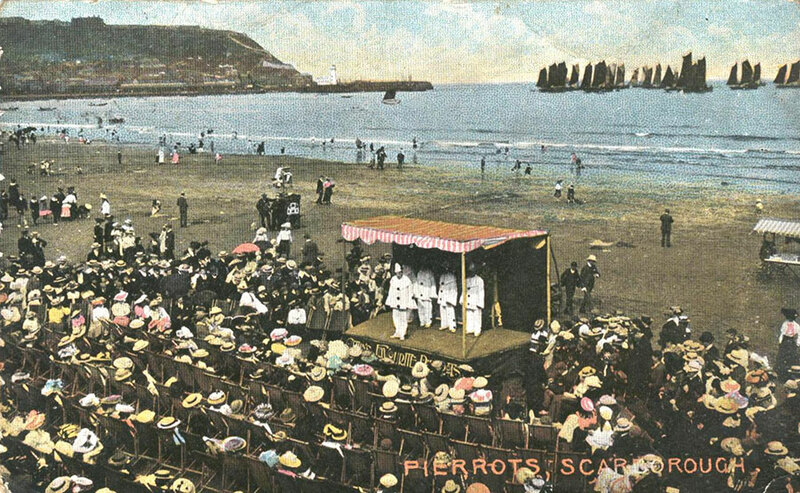 In 1920, he retired from performance, yet continued to supervise Catlin pierrot shows up in Scarborough, Colwyn Bay, Great Yarmouth, Llandudno and many others. 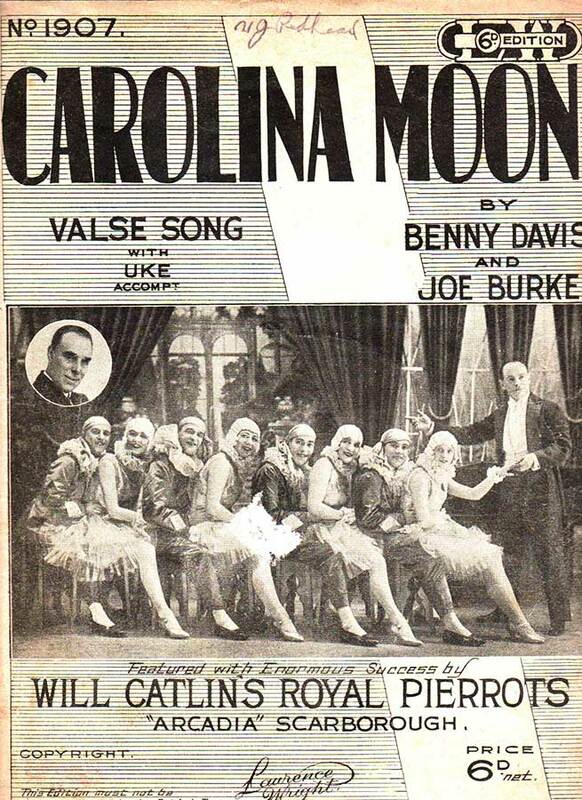 In 1932, Catlin introduced the ‘Evening Follies’ who were regarded as “the champagne of modern entertainment”. Always at the forefront of entertainment developments, on Friday July 20th 1934, the BBC made a live radio broadcast of ‘Evening Follies’ from the Llandudno Arcadia. 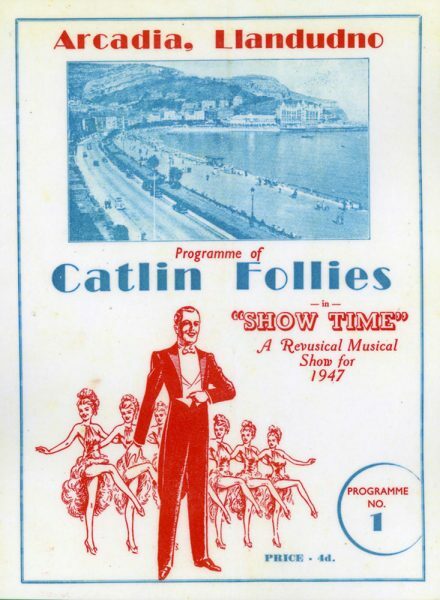 In 1940, Will Catlin moved from his ‘retirement’ home in Reading, to take up residence in Llandudno, where he continued to greet his audiences at the front of his Arcadia theatre in a smart suit, hat and cigar in hand. 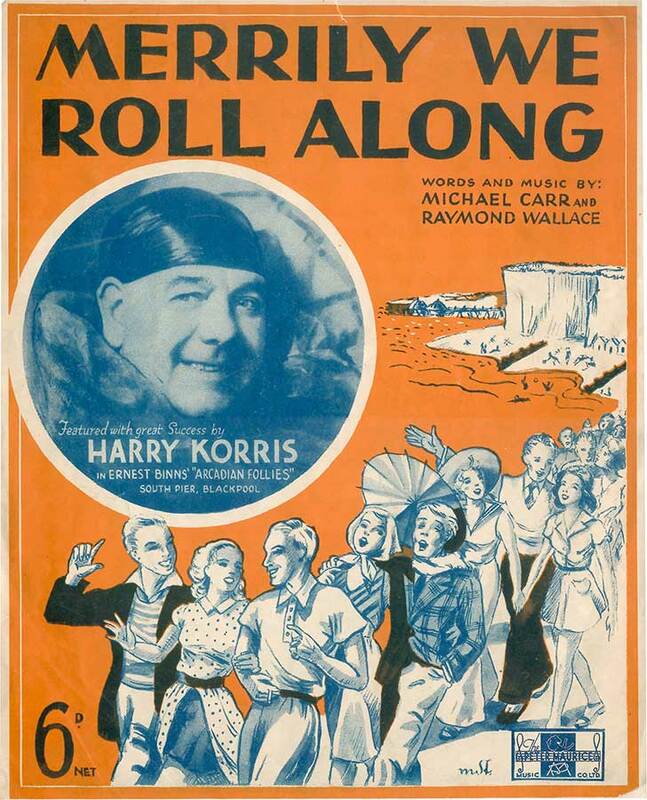 In 1949, he married his second wife – Doris Anderson, with whom he had 2 daughters.